In 2002 Philippe Starck reinvented the classic Louis XV armchair and created the Louis Ghost Chair. 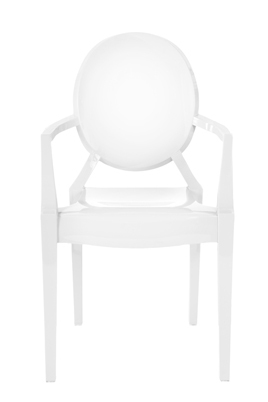 The Louis Ghost Chair is available in solid glossy white, solid glossy black and clear. The Louis Ghost Chair is also part of the Diddy Dining Grouping.